Quiet poetry is hardly what we’ve come to expect from a surf movie. 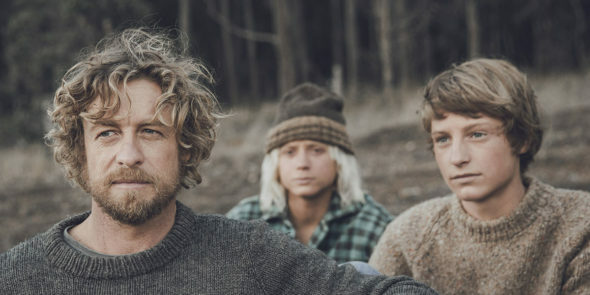 But actor-turned-director Simon Baker offers exactly that in his elegantly familiar coming-of-age story, Breath. Based on Tim Winton’s novel, the film follows two mates in coastal Australia as their childhood friendship faces the snarls of the onset of adulthood. Pikelet (Samson Coulter) —a beautiful gangle of limbs and promise—is the only child of a humble but loving family. He and Loonie (Ben Spence) are inseparable, though their futures are destined to veer in wildly different directions. Before that happens, they will tumble toward adulthood on some dangerous waves. The lads find an unlikely mentor in the form of a bohemian surfer. Bodhi…no, I’m lying. His name is Sando (Baker), and for every one of Point Break’s Hollywood-slick moments of waves, wisdom and gleaming tan, Sando offers authentic surf-tossed ruggedness and reflection. This film is less about that one big one, the one that’ll make you famous. It’s entirely about the journey, the solitude and the fear—what an individual can make of those elements, what those elements make of an individual. It’s about life. The young actors’ performances are wonderfully true and fresh, each easily articulating those days immediately before adulthood claims a child, determining his inevitable direction. Breath is most at home as these two boys bristle and bond, but slightly less honest as they separate and explore the world’s dangerous secrets on their own. The lads are full of promise, though you can already see a darker path for one. The adults onscreen, including Sando and his wife Eva (played with appropriate chill by Elizabeth Debicki), represent the many possible ways that journey could go wrong. Though Baker directed a number of episodes of his TV show The Mentalist, Breath represents his first venture into feature filmmaking. He shows a knack for authenticity and understatement—two elements sorely lacking in coming-of-age dramas, not to mention surf films. Even the way he captures the water evokes the idea of imperfection and wonder, unlike those crystal blue, foaming tubes we’ve become used to. It works well with Winton’s words, adapted for the screen by Gerard Lee. Both he and Baker seem to have crafted the entire, lovely effort around one nearly perfect line: Never had I seen men do something so beautiful, so pointless and elegant, as if dancing on water was the best and brightest thing a man could do.